EDC means Every Day Carry. Such EDC items include keys, phone, wallet, and a knife. But did you know that a flashlight is one of the essential EDC items that you should have? 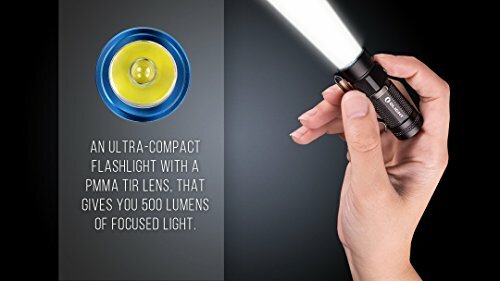 A good quality flashlight can help you when there is a blackout, when you come home late, when you walk with your dog at night, or when you need to change your car tire at night. Thus, you need a small, compact, high-quality every day carry light. 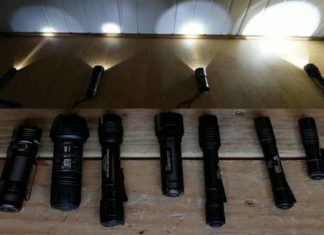 But, It is not easy to find the best EDC flashlight for the money! Related: What is the Best Keychain Flashlight? You may find different types of flashlights like 18650 flashlight, AA flashlight, AAA Flashlight or Rechargeable flashlights. But, Size is the most important things you should consider before buying an EDC flashlight. After that, brightness, water resistant, shock resistant, lumens, durability, battery, switch, etc features need to check. Currently, there are so many EDC flashlights on the market. 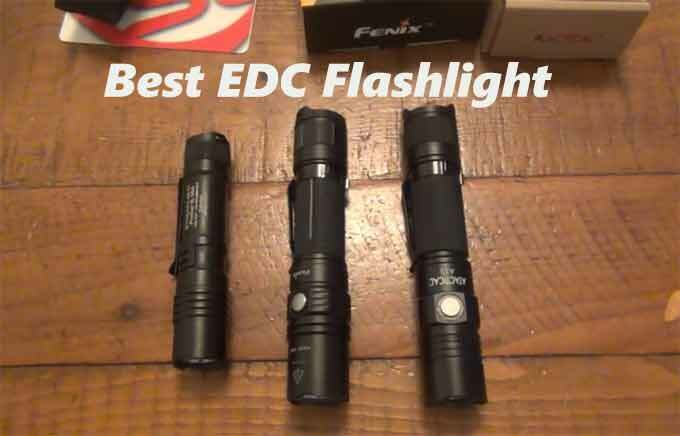 This can be so confusing and that’s why we have created this review to help people like you find the best EDC flashlight for your daily use. Before you select a flashlight, there are a number of things that you ought to know. Flashlights vary in construction, performance, brightness, run-time, and versatility. Choosing a reliable flashlight for your daily use can save you from danger. The Olight S1 Baton has become a favorite EDC flashlight over the years due to its compact design and pocket-friendly size. With a maximum Lumen of 500, this flashlight can light your darkroom or path without any problem. It has a Cree XM-L2 CW LED and a PMMA TIR lens with a 90% light transmittance rate. These allow it to provide bright white light. Press the easy to use button to switch on the light and cycle through the 3 light modes and 2 special modes. Olight S1 baton is our top pick and best edc flashlight 2019. Battery: 1 CR123A batteries required. If you want an EDC flashlight for camping or hiking, the Streamlight 88061 will be a great fit for you. Equipped with a 3 watt super high influx LED with 20, 000 hrs lifespan; you will get quality and interrupted light for 6.75 continuous hours. It is also powered by the lightweight CR123A batteries and has a two-way clip for easy attachment to the belt or pocket. The flashlight is safe to use as it is RoHS compliant and meets applicable European Community Directives. Poorly made switch that spoils after a short period. Use it carefully. The Lumintop pocket-size flashlight uses Cree XP-L HD LED with a lifespan of 50, 000 hrs. It is the best edc flashlight under 30. The aircraft-grade aluminum alloy is a sturdy material and lightweight as well. Using this 550 Lumen flashlight is very easy with just one hand. Also, you can cycle through the 3 light modes that it comes with for different uses. Since the flashlight is impact resistant, accidental droppings will not render it useless as it will still function well. Utilize the flashlight as you go out hunting, hiking, or to search for the lost keys in the yard. Many users complained that the flashlight is not as bright as advertised. 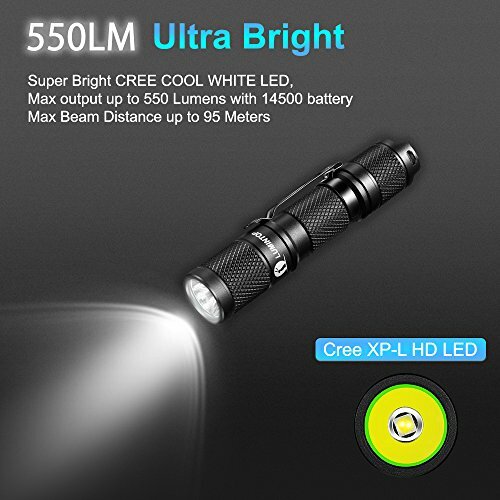 Made with the latest Cree XP-L V6 LED technology, the ThruNite TN12 EDC flashlight is the brightest flashlight in this list. It produces a maximum output of 1100 Lumens on its one 18650 rechargeable battery. This is the perfect flashlight for your outdoor needs as it offers 6 light modes. The modes are the firefly, low, medium, high, turbo, and strobe modes. The upgraded stainless steel switch is easy to use and the thick head makes the light to be more impact resistant. 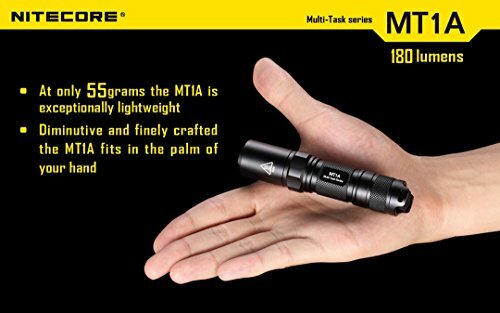 Built for everyday use, the Nitecore MT1A is a flashlight that everyone should have. It is small and lightweight, making it easy to keep. Despite its subcompact design, the MT1A mini flashlight offers the user with 5 light modes, a strobe, and SOS mode. Slip it easily in your pockets, purse, or backpack. It is also sturdily constructed to withstand tough conditions like water, impact, and corrosion. Powered by 1 AA battery, this is the perfect flashlight for your daily lighting needs. Thus, it is called the best edc flashlight aa. If you are looking for the best edc flashlight under 50 then buy this flashlight. The klarus Mi7 flashlight is very durable and bright EDC tactical light. If you want a tactical quality flashlight but small then this is the flashlight for you. 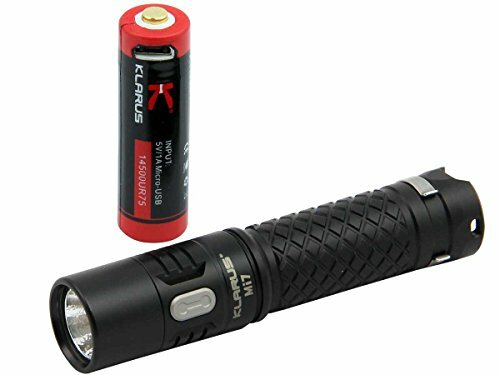 Klarus is known for its sturdy and versatile flashlights. The Klarus Mi7 maybe just a small flashlight, but it still delivers in tough conditions. It is the perfect EDC light for your hunting, camping, hiking, fishing or rescue missions. Made of sturdy aerospace-grade aluminum, this flashlight is both impact and water resistant. Switch the flashlight to the lock-out mode and slip it in the pocket. You will not have any accidental activation. In addition to their line of quality knives, flashlights, and multi-tools; Coast offers a lifetime warranty on all of its products. The Coast G19 LED flashlight is offered at a very affordable price. It is also compact and lightweight, making it suitable for everyday use. Even though it is small, the G19 inspection light provides an excellent illumination that covers up to 20 meters. In addition, it can run for 2 hrs 30 minutes. The firm grip allows you to hold it firmly even in wet conditions. Put it in your front pocket or attach it to your belt using the clip. With its high-output of 300 Lumens, the Surefire defender is an ideal light for your daily lighting needs. It has an ergonomic tactical tail cap for quick access to maximum output in emergency situations. 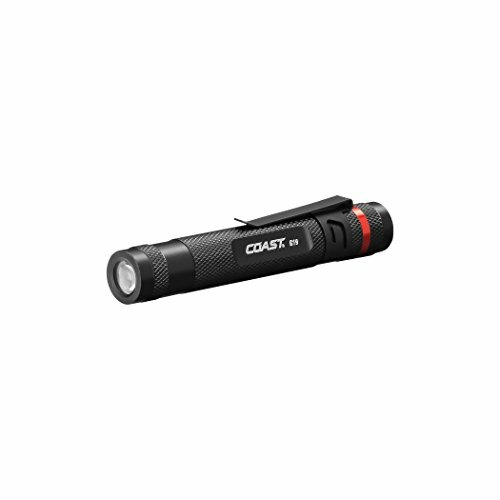 The flashlight is powered by the high-energy CR123A battery that gives it a long run time. When attacked, you can use the strike bezel to hit the attacker. Additionally, the revolutionary pocket clip enables you to attach the flashlight in any direction. Offered by one of the most trusted brands on the market, Fenix pd25 is a great flashlight for outdoor lovers. The 550 Lumen flashlight produces a very powerful beam of light that reaches up to 130 meters. It is powered by one 16340 rechargeable Li-ion battery or 3V CR123A lithium batteries. The flashlight can last for 100 hrs on low mode, which is amazing for such a light. Whether it’s raining or not, the flashlight will still function as it is rated as IPX8 waterproof. Despite these excellent features, this EDC flashlight weighs less and can be kept with much ease. The Surefire 6PX pro is a simple but powerful flashlight. It uses a virtually indestructible LED bulb that emits a maximum of 200 Lumens. This is further boosted by the polycarbonate micro-textured reflector that creates an excellent beam of light. To turn on the light, you can use the dual tactical tail cap switch for momentary-on and then access the high or low light modes with 200 Lumens and 15 Lumens, respectively. In addition to these features, the Surefire 6PX pro has a mil-spec hard-anodized finish to defy corrosion. You can also use this flashlight in rainfall as it has a waterproof rating of IPX4. At such a great price, you will get two GearLight EDC flashlights in one bundle. Buy the flashlight bundle as a present for your son who loves outdoor activities. This handheld flashlight might be cheap, but it is very powerful. It comes with 5 light modes for different uses. 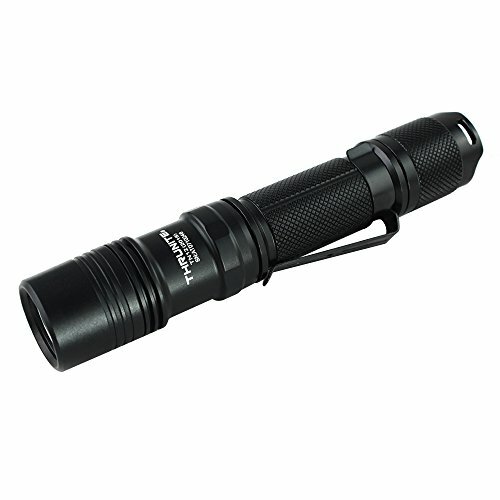 The S1000 light runs on 3x AAA batteries or a single 18650 rechargeable battery. If you are out camping and want a very bright light, zoom it in for a spotlight or out for a flood beam. Moreover, it will defy all weather conditions be it rain or dust. This is because it is weather resistant. The indestructible LED bulb will provide you with years of use. Each and every one of us have those items that we can’t miss to carry on a daily basis. A Flashlight is one of them. – before the LED bulb was discovered, most flashlights used the incandescent bulb. Today, many flashlights with EDC included usually use LED (light emitting diode) bulbs. These are preferred over incandescent bulbs because they provide greater efficiency, greater brightness, better battery consumption, and are indestructible. – the number of Lumens a flashlight has determines how bright your light will be. Normally, everyday carry flashlights come with Lumens of between 50 and 1000. Depending on what you want to use the flashlight for, you can either go for a powerful or less powerful light. For instance, if you want a light for home use, a 50 to 200 Lumen flashlight will be ideal. But if you want an EDC for outdoor use, then you should consider a light with at least 400 Lumens or more. – how long do you intend to use the flashlight? Is it just for some few hours or for the entire night? The type of battery your flashlight uses will determine how long the flashlight will last. A good number of EDC flashlights are powered by AA, AAA, or CR123A batteries. AA and AAA batteries are very easy to find and cheap, too. CR123A batteries are not easy to find but provide the longest run time. They are also lighter when compared to AA batteries. Also, consider buying a rechargeable flashlight which provides the best run-time. – there is a high chance that you will have to use your flashlight in extreme weather conditions like when it’s raining. A good flashlight should be in a position to offer you with light even when the conditions are not favorable. For this reason, make sure that you check the water resistance rating of the flashlight. Most of them are rated using the IPX code. It can be IPX4, IPX7 or IPX8 waterproof rating. – since you will be carrying the flashlights every day; it is prone to fall, crash, or get some knocks. So, having a quality and sturdily made flashlight will resist breaking or spoiling on impact. That’s why you should consider buying a flashlight built of metal instead of plastic. As a result, you will end up using the flashlight for a very long period of time. – the aim of EDC is to have a flashlight that can provide you with light, but at the same time it shouldn’t be a burden to carry. Hence, you will need a flashlight that is less than 4-inches long and it should be light. This means that you will have to sacrifice on things like runtime and brightness. The smaller the light, the less powerful it becomes. Though, there are some exceptional small, everyday carry flashlights. In addition, a short light will be easy to slip in your pocket than a longer one. Even, some edc flashlights can be used as the keychain flashlight. – no one wants a flashlight that takes them ages to switch on. Before you buy a flashlight, ensure that it is easy to operate. A one-handed operation light is the best, especially if you need it in an emergency scenario. Also, the switch should not turn on itself when put in the pocket. This will drain your battery for nothing. – I wouldn’t want to weigh down my pocket with a heavy flashlight. Therefore, it is crucial that you consider the weight of the flashlight before buying. For instance, aluminum and titanium flashlights are lighter than steel flashlights. Also, use CR123A batteries as they are lighter. Not every EDC flashlight that you see out there is worth having. First, you need to know what features you desire the most and the purpose of the flashlight. Some are built for tactical use, while others are just good for simple lighting needs. Also, there are those that offer stunning brightness, and others are known for their versatility. Whatever the case, you should ensure that you spend your cash on a flashlight that will be reliable and deliver when you need it to. 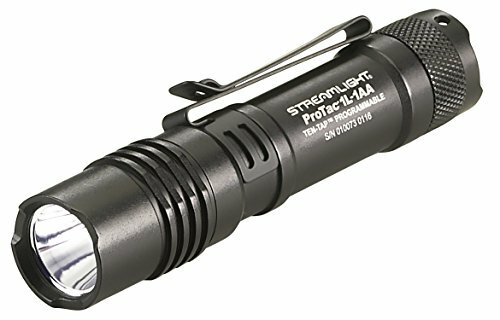 In the above list, we have offered you with flashlights that are sturdily built, powerful, and easy to carry. Most of the time, people take flashlights for granted until they are in need of them. But, it is one of the most essential item that you should carry. Question: What features should I look for in an EDC flashlight? 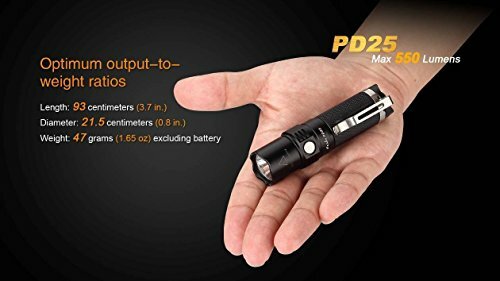 Answer: The best EDC flashlight should be portable, well designed for easy carry in your pockets or for attaching to the keychain, it should have a strong housing to withstand impact, be bright with various light modes, and it should have a good waterproof rating. Question: Which batteries should I choose for my EDC light between AA and Lithium-ion batteries? Answer: Normally, EDC flashlights are powered by either AA or Lithium-ion batteries. AA batteries are easily available and are cheap. The only challenge is that they tend to drain faster. On the other hand, Lithium-ion batteries run for a longer period of time but cannot be easily found. Also, they are quite expensive than AA batteries. Also, lithium batteries are usually larger and having an EDC flashlight of this ort will take up much space in your pocket. Question: How long do EDC Flashlights last? Answer: This depends with the type of material the EDC flashlight is made of. Most of the EDC lights are made with durable polymer material that is long-lasting. But overall, it depends with how well you maintain your flashlight. Also, a flashlight that is waterproof has a higher chance of lasting longer than one that is not protected from water. Still, have a question after reading this best edc flashlight review? Comment below.